Anyone browsing through our website or walking through our leafy redbrick streets will soon come to realise what a special place Meads Village is. Now we think it's time to tell you about another hidden gem just a few minutes drive or a leisurely walk away. Head towards the town centre and one of the first things you will see is Eastbourne's iconic, Grade II listed Town Hall. This beautiful building forms the gateway to the maze of Victorian streets known as Little Chelsea, voted one of the coolest places in the UK' last summer by the Sunday Times. Full of independent shops, artists' studios and cafes, fans of Brighton's Lanes will love it. 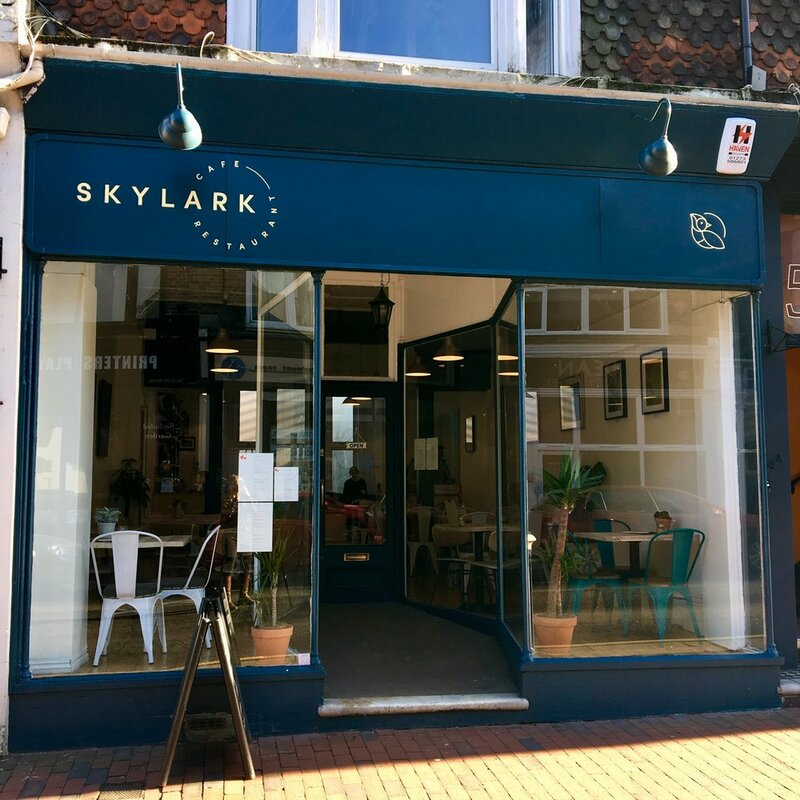 And the newest and brightest cafe is Skylark on Grove Road. Here is co-owner Erina Howard-Graham to tell us more. 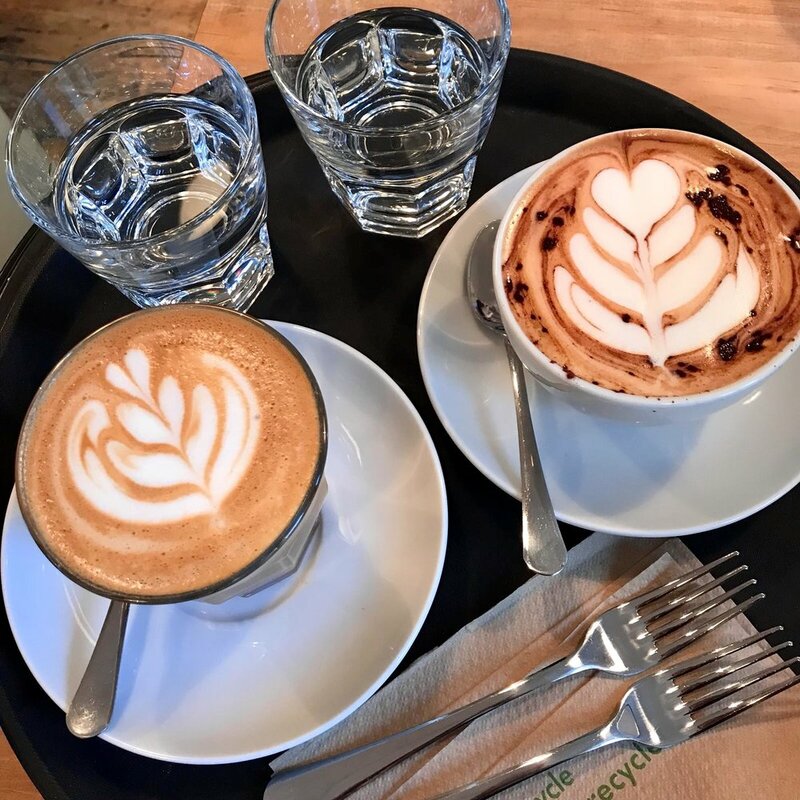 “We opened our doors in early January 2018, initially just serving breakfast and lunch, alongside specialty coffee and cakes. This was until we obtained our alcohol license, enabling us to serve wine, beer, and spirits and we are now open for dinner on Thursday, Friday and Saturday evenings. Our courtyard garden, hidden away at the back, was launched as a second dining area in the Spring and has proved to be very popular not only as it is so secluded but also because it is a wonderful suntrap, perfect for alfresco dining. Our menus change entirely every three months in line with the seasons as we love to use seasonal produce, which we believe is best for its quality and flavour. The dinner menus change each month to keep our offering interesting and varied for regular customers. We are inspired by Sussex and the fantastic array of local produce that it has to offer. We love serving fresh fish from the coast and are proud to have excellent relationships with all our loyal suppliers, from the bakery around the corner on Gildredge Road to the family-run dairy in Laughton. Our breakfast menus feature full English plus a veggie alternative along with baked eggs, avocado on toast and fresh buttermilk pancakes with fruit. Our lunch offering ranges from soup, wild mushrooms on toast, sandwiches and sharing platters through to fishcakes, a vegan falafel burger, local sausages and sirloin steak. 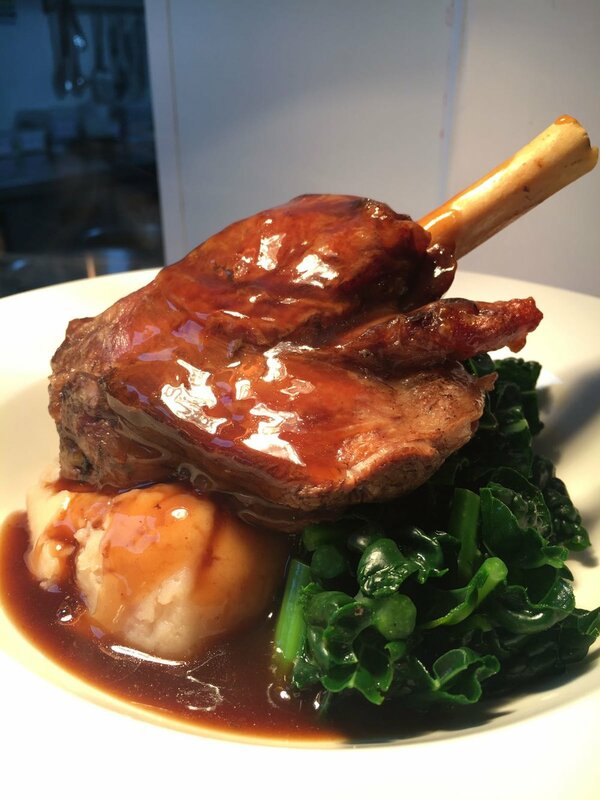 Dinner menu choices include wild pigeon breast, smoked mackerel pate, and baked camembert as starters, with mains such as sea bass fillet, salt-marsh lamb cutlets and risottos cooked from scratch. And of course, there is always a lovely selection of sumptuous puddings!